“A long war.” That is what Libyan Dictator Moammar Gadhafi has promised the Allied Forces and the rebel groups opposing him. On Saturday, March 19th, 2011, U.S. and British warships and submarines launched what is to be the first stage of a large scale assault on Gadhafi’s forces. 112 missiles were fired on various targets near the coast, followed by an aerial assault on the opposition’s air force. In the eyes of the rebels, the help is a god-send. While only a few days before their resistance seemed to be failing against Gadhafi’s superior technology and military, many have found a new fire inside their hearts. “I feel like in two days max we will destroy Gadhafi,” said Ezzeldin Helwani, a member of the rebellion’s forces. 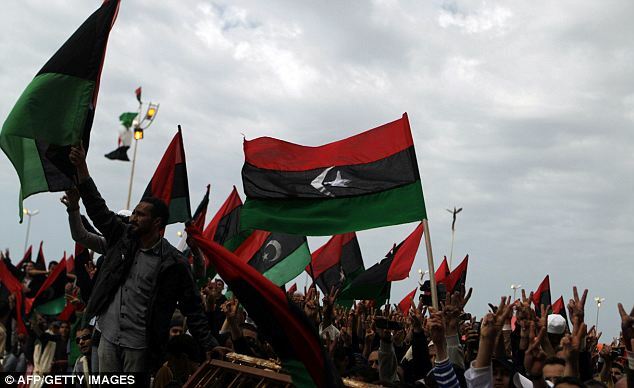 While the rebels rejoice and rally even more support, Gadhafi remains firm in his vow to fight on. He has opened up military weapons depots to all of his supporters, including civilians. Protection is what America and its allies are offering, but with Gadhafi refusing to back down, it may indeed come down to the last drop of blood. This whole thing reminds me a lot of Iraq and that didn’t end to well.